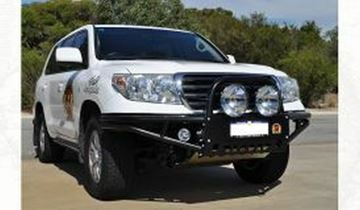 Outback Accessories designed their accessories in Australia for Australia's off road conditions! 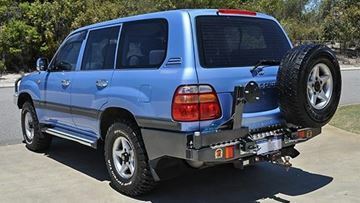 Between XROX bars, Single / twin rear wheel carriers, Battery trays, Long-range fuel tanks, Rear bars, Rock sliders, Steel bull bars and Under body guards, Outback Accessories have got you covered! 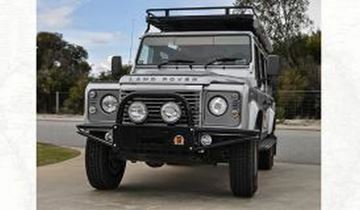 Four-wheel driving without protection can be costly, especially if you do panel damage. 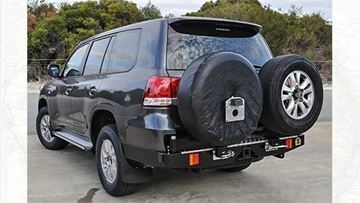 So, protect your vehicle with outback accessories today and enjoy four-wheel driving without the worry of panel damage! Browse some of our products below or contacts us today for a quote to suit your vehicles protection needs and requirements. If your vehicle is not listed below, contact us here. 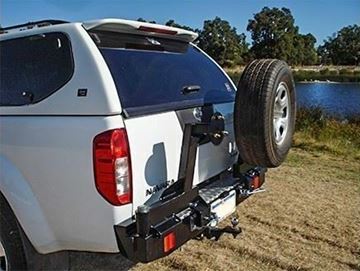 The Outback twin wheel carrier has been developed to protect the rear-end of your vehicle and allows you to carry duel spares safely. 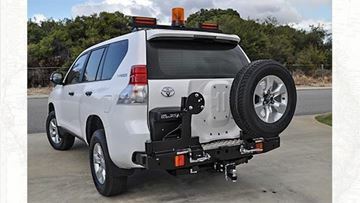 The Outback twin wheel carrier has been developed to protect the rear-end of your vehicle and allows you to carry duel spares (up to 35s) safely. 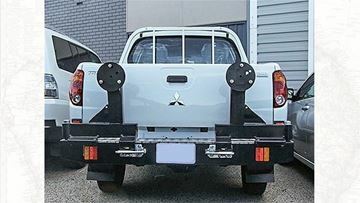 The single wheel carrier for the 200 Series carries the spare on the back of the vehicle which gives the vehicle a greater ground clearance. 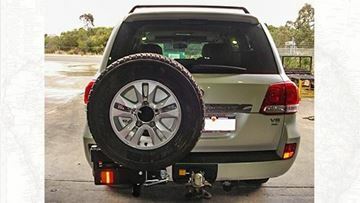 The Outback twin wheel carrier has been developed to protect the rear-end of your vehicle and allows you to carry dual spares (up to 35s) safely. 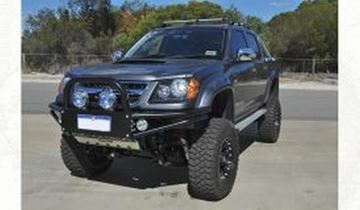 2010 RC Holden Colorado X-ROX steel winch compatible bull bar, call for a quote for your vehicle today! 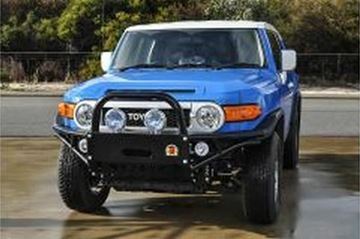 XROX Steel winch compatible steel bullbar to suit the 200 Series Land Cruiser, call for a quote for your vehicle today! 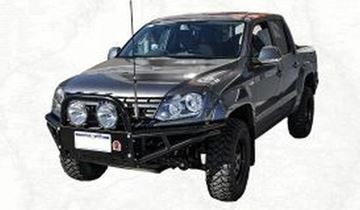 X-rox bars are great for the offroader who wants serious ground clearance but still wants good protection a bullbar. 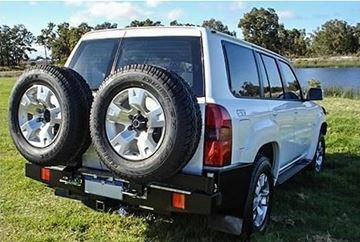 2014 VW Amarok X-ROX Steel bullbar, trick your 4X4 UP with the X-ROX bullbar today, call for a quote for your vehicle today! Suit the trendline.